FRANKLIN TWP. — A 53-year-old man was seriously injured when the bicycle he was riding was hit by a vehicle at Stanton and Sheridan avenues late Thursday night. The bicyclist was riding in the northbound lane of Stanton Avenue when he was hit by a driver who then left the scene, police said. The victim suffered serious leg injuries, said police. While police were investigating what appeared to be a hit and run, the driver of the vehicle called to report the crash, police said. 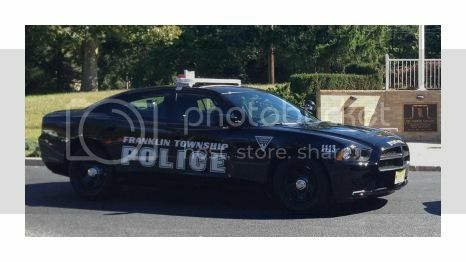 Brianna P. Phillips, 20, of Franklin Township, was charged with leaving the scene of a motor vehicle accident, said police. The victim, whose name was not released by police, was airlifted to Cooper University Hospital’s Trauma Center in Camden, where he was listed as being in stable condition, police said. Assisting at the scene were Janvier Fire Co., Inspira Paramedics, Monroe Township Ambulance and MedEvac 5. Officer Jeffrey McGuigan is investigating the crash.